> A question is posed. 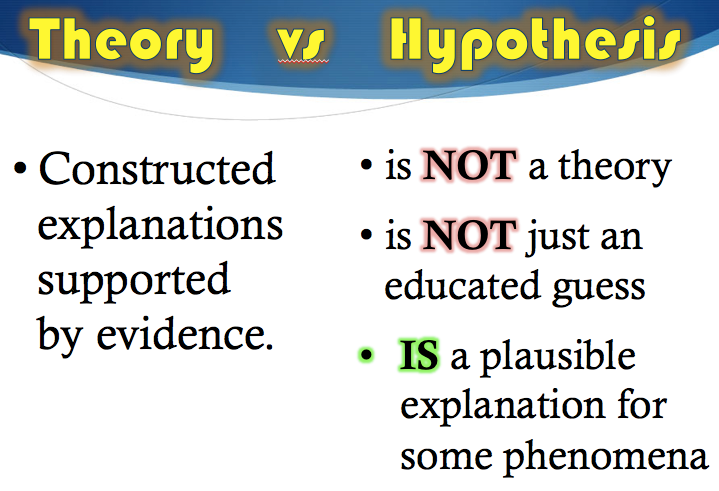 > Different ideas are proposed as hypotheses (plausible explanations) to answer the question. > These ideas are tested experimentally. > Evidence from the experiments is evaluated to determine whether or not it supports the idea. > If the evidence does not support the idea, the scientist must start again with a different idea. Similarly, the design process follows a sequence to meet a need or construct a solution. > Identify a problem to be solved or a need to be fulfilled. > Design a solution that addresses this need or problem. > Create and test the solution. > Based on the evaluation of data acquired when the solution is being tested, the initial design may be further refined and improved. Use evidence to support their ideas. >Students want to rely on their own opinions and have difficulty using sufficient evidence. Explain why their evidence supports their ideas. > Students have difficulty articulating the link between their ideas and supporting evidence. > Students tend to focus on only one idea. Revising explanations and solutions based on new evidence or scientific knowledge. > Students have a hard time abandoning their original ideas. How Can I Create Awesome Questions/ Problems? What Do I Look For In Explanations and Solutions? > Construct your own explanations based on your knowledge, models, and evidence. > Use scientific evidence to support, refine, or refute explanations, to identify gaps in proposed explanations. > Construct or test design solution. > Evaluate and critique competing solutions.